Stand up to the elements in this breathable yet protective mobile face jacket. We love the Outdoor Research Refuge Hooded Jacket for its dope blend of weather protection and breathability. This mobile jacket moves with your body and vents moisture when you begin to sweat. While it's not the warmest coat out there, it provides sufficient warmth for cool to moderate temperatures. Its flattering chevron pattern and trim fit make it one of the most stylish and fashionable outdoor jackets tested, while its complementary color schemes will receive compliments on the street. While this isn't as breathable or warm as The North Face Ventrix Hoody, its face fabric provides more weather resistance. You can also stuff it into its own pocket! This lightweight yet protective coat is perfect for your next multi-pitch in the shoulder season. Or layer it under a shell when the temperatures plummet. Regardless, it's ready to be worn anywhere…from the ski hill to the city streets. Oh, it's also not that expensive. The Outdoor Research Refuge stands out for its awesome level of weather protection coupled with a breathable yet mobile face fabric. It's a perfect option for pitching out climbs when the winds blow and the temperatures are moderate. This stylish and cute coat is perfect for winter escapades and jaunts on the town. Boasting a mere 60 g/m^2 of 100% polyester insulation, the Outdoor Research Refuge isn't the warmest coat around. However, its VerticalX insulation will keep you warm when wet. The jacket does a fantastic job balancing warmth and breathability. The outer layer provides wind protection from the harsh wind while the insulation is packed into the internal layer. While hanging out in double negative conditions, this jacket didn't suffice on its own. The cold cut through the thinner fabrics, chilling us to the bone. However, when worn as a mid layer, it's perfectly employed. Best for moderate temperatures in the winter and a perfect mid layer when the temps plummet, it's wonderfully suited for activities where you might amp up the work, then slow down…perfect for ice climbing, a winter hike, and the like. A great jacket on its own in the shoulder seasons or during warmer winter days. It also doubles as a great mid-layer when the temperatures really plummet. Like all mobile face construction jackets, it's not as compressible as quilted competitors. It does stuff into its own pocket but does not come with a stuff sack. You can also roll it up into its own hood and stow it away nicely in a backpack if necessary. However, you probably won't need to do that as it's wonderfully breathable and built to stay on your body. Overall, it's a pretty lightweight jacket that does a pretty good job at stowing away for a mobile-face jacket. The shell features a 20D X 30D fabric (with stretch!) that repels water and snow. While skiing during a snowstorm, this soft shell did a fantastic job beading up the moisture and keeping us dry. This shell is bomber offering a higher level of weather resistance than any mobile-faced jacket tested thus far! While the fabric did eventually saturate in this snowstorm, the internal layer, stacked with water-insulating polyester, kept the moisture away from the skin. Not only does it do a fantastic job with water resistance, but the shell is less porous than other mobile face fabrics and therefore protects well against the wind. Overall, its an awesomely weather-resistant jacket….it's just not weatherproof. Be sure to layer it with a solid shell if you're going out in bone-drenching weather. The interior and exterior shell is constructed of a softer, mobile face fabric that moves wherever your body moves. Pockets are placed precisely where you need them, offering ample space for storage. You'll find a breast pocket, two hand-warmer pockets, and two large interior pockets. All have a nice fleece liner and are super cozy. We really appreciate all this storage in a seemingly fitted jacket that doesn't look like it has any! The hood is large enough to be worn over or underneath a helmet and features an easy to pull cinch cord that offers a precise fit. The hem features a single pull cinch cord that can be yanked on it you need to lock in heat or block out cold when the temperatures plummet. We also like the headphone jack that attaches to the interior of the chest pocket…a perfect place to stash a phone and pump up the tunes! A look at the interior pocket that also has a location for a pair of headphones (the blue square above the pocket). Hide your headphones and easily place a smaller smartphone inside. Overall, this jacket is pretty comfortable and cozy with many cool features to keep you going through colder days of the season. Our only caveat is that the space in the arms is a bit limited and the fabric is a little stiffer than other mobile-construction jackets. This makes layering overtop of bulkier or grabbier layers a little bit challenging. The mobile face fabric provides a great level of breathability. While warmth is packed away into a thinner layer, this thinness also elicits the opportunity to off-load heat through the fabric. While this is sufficient for say, climbing or hiking, it's not as breathable as other jackets with this construction like our Top Pick for Breathability, the Outdoor Research Ascendant. It also doesn't have any vents on the jacket aside from just its zippers and pockets. This fabric is durable and quite porous, offering decent breathability and a good balance to warmth. This jacket is well-fitted and super stylish! It features a simple yet flattering stitching pattern in the front and back. The cut of the jacket is hourglass-like offering a feminine and flattering appeal. Sizing is on point, with a little extra in the fabrics for each size (perfect for layering)! The arms and torso are not super long and is perfect for our medium-limbed testers. If you have a longer torso, you might find the cut to be a little short, but it's worth trying to see if it works for you. Designed as a soft-shell jacket meant to tackle nasty weather while providing warmth, it's a great option if you're seeking a warmer option for aerobic activity. Think winter running, hiking, ice climbing and more! While it's not the most breathable option out there, it'll still do the trick to vent heat while hiking uphill while providing you with protection from the elements. A perfect option for wear during all seasons. Cool summer nights, moderately cold winter days, and everything in between. Winter running? Hiking? Climbing? Hanging out? This cute and well-fitted jacket offers all of the above. 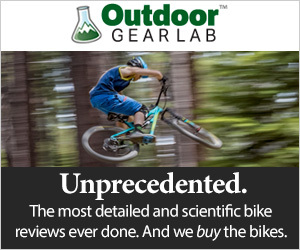 Outdoor Research has a reputation for providing good quality products at a reasonable price. Retailing for $200, the Outdoor Research Refuge proves to be a great deal offering great performance at a relatively low price for an insulated jacket. The Outdoor Research Refuge has stepped up its game by designing a mobile-face jacket that offers flexibility, breathability, and stand-out weather protection. Its cute design will have you going from the slopes to the chalet and out on the town. It fits the niche of providing a wonderful balance of weather protection and breathability. Keeping you protected when the winds howl and you don't want to sweat too much. Take it home for a decent price. REI $138.73 - 31% off! MooseJaw $149.21 - 25% off!